(Notes on) Politics, Theory & Photography: My boy August is 8 years old. This photo makes me nauseous. My boy August is 8 years old. This photo makes me nauseous. 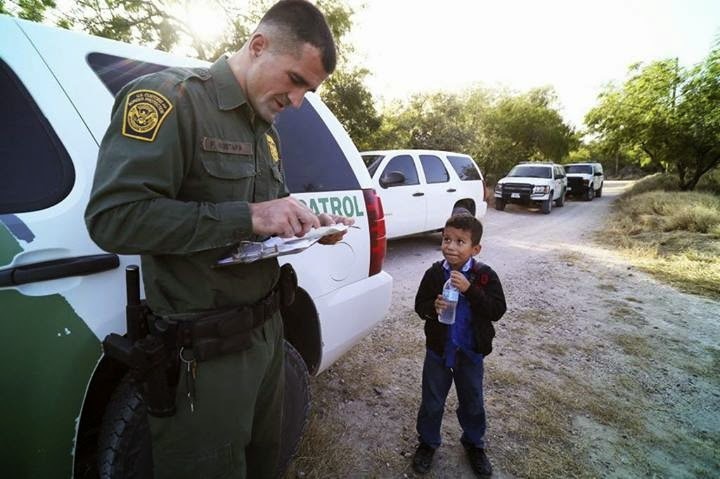 A Border Patrol agent reads the birth certificate of Alejandro, 8 -- the only thing he brought with him as he and others crossed the Rio Grande near McAllen recently. Alejandro is one of more than 52,000 minors traveling without parents who've been caught crossing the border illegally since October (Dallas Morning News).